For over 30 years, Shear Sensations has been helping brides and grooms prepare for their wedding day with a wide variety of salon services. We specialize in up-do’s, make-up application, nail services, and more. Your party can come to the salon, or our stylists are available for off-site visits at country inns and resorts throughout Vermont’s Northeast Kingdom and northern New Hampshire. Please call for more information about our off-site bridal services. In addition to wedding day services, Shear Sensations offers a full line of services that are perfect for the day before the wedding. 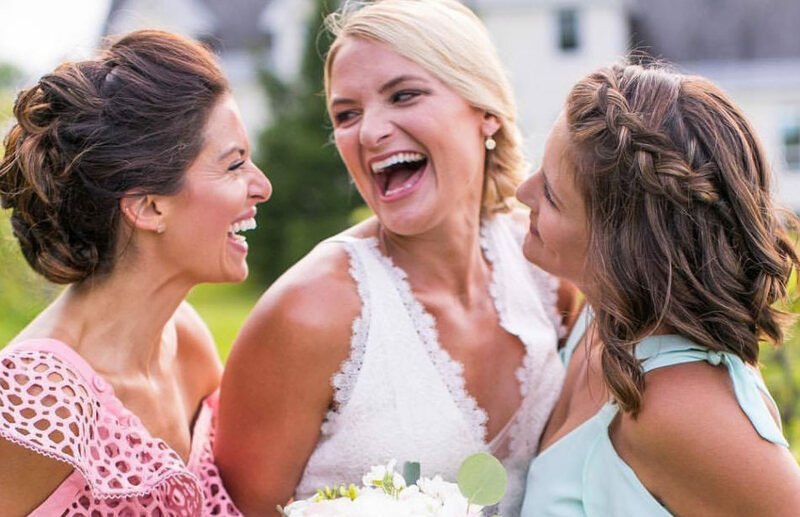 Facials, massages, and pedicures are a wonderful way for the wedding party to relax and reconnect. We offer complete wedding packages, and work with local caterers to make arranging your visit completely hassle-free. We look forward to working with you to make your wedding day perfect! Please call us for more information about our wedding services. 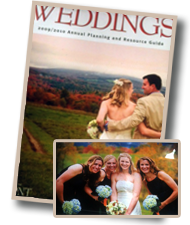 A ‘Shear Sensations’ wedding is featured on the cover of Vermont Magazine’s Wedding issue! We worked with the wedding party for their wedding at the Inn at Mountain View Farm, located on Darling Hill Road in Burke, VT.